Allie: Hi all! I asked Mother if we could blog about Petfinder's "Foster a Lonely Pet for the Holidays" because it's very personal to me. You see, that's how I found my Forever Family. And Mother was excited to do it because she knows - and works with - the people who were instrumental in making this a great new national tradition. It all began many years ago when a lawyer in a suburban Kansas City town (Olathe, KS) wrote a bedtime story for his kids. It was about a developmentally disabled boy named Todd who heard his hometown shelter needed to find temporary homes for its animals over the holidays. Through persistence and persuasion, Todd motivates an entire town to extend their peace and goodwill to animals that year, too. 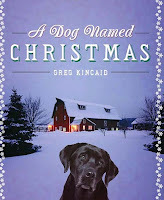 That man's name is Greg Kincaid, and his story, "A Dog Named Christmas," was first published 4 years ago this month. Someone gave a copy of Mr. Kincaid's book to a really nice man that Mother works with - Brad Moore, president of the Hallmark Hall of Fame. He fell in love with it, not only because it's an awesome story but also because it's a story written by a local writer and Hallmark has always been hugely supportive of hometown talent (they're really nice like that). 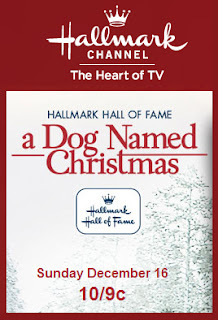 Greg's book became Hallmark's 2009 Holiday Hall of Fame movie (and if you never got a chance to see it, set your recorders for next Sunday December 16, because at 10 PM EST/ 9 PM Central, it's playing again on the Hallmark Channel). But that's just the beginning of the story. 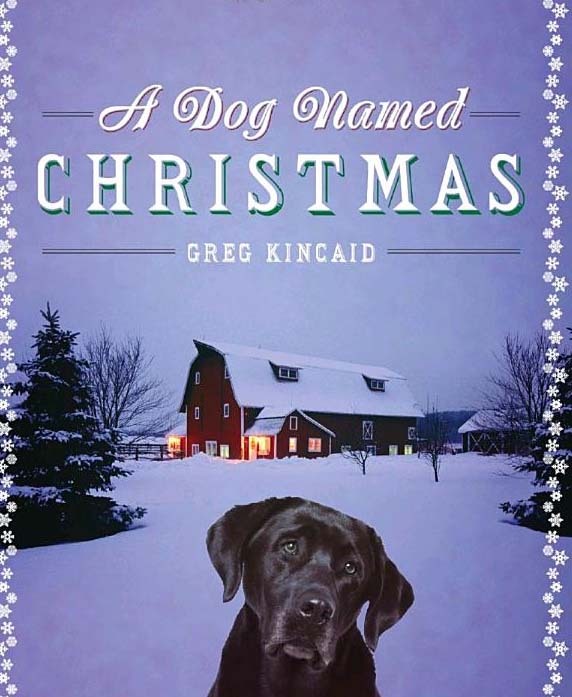 Hallmark then partnered with CBS and Petfinder.com to launch a new program that winter, based on the concept in Greg's story: the idea to foster a lonely pet for the holidays. Veterinary News wrote about shelter stress and its affects on cats in particular in an article last year. They quoted Dr. Michael Moyer, President of the American Animal Hospital Association (AAHA), as saying that a shelter environment "means stress, and stress means relapse of latent viruses ... [and] supportive care for weeks in order to convalesce." Please consider participating in this year's Petfinder's Foster a Lonely Pet for the Holidays program. You'll be giving a wonderful animal a few weeks' reprieve, lightening the load for your local shelter, and - who knows? You just might discover your foster friend is someone you just can't part with. 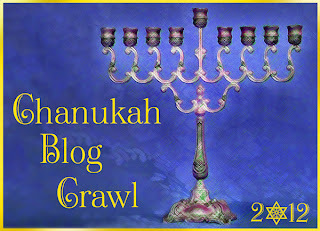 We're participating in a Chanukah Blog Crawl! There's a different host for each day. The Crawl stops at our blog on Monday, so be sure to swing by and visit us! Click the badge above to see who's hosting each day of the Crawl. 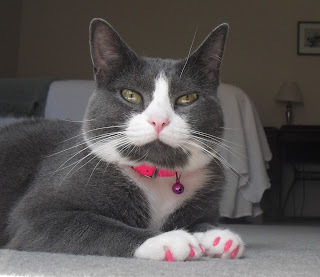 If you'd like to follow along, click here to read today's post at Gromek the Cat's site. Allie, we are going to set our DVR to record that movie. We are so glad you found your furever home by being fostered. That is just great. Mom loves your hot pink Softpaws. Do your humans put them on themselves or have the V-e-t help? How long do they last? Oh Mother does it now, though she had that nasty v-e-t do it the first time. They last about a month, and they come off when a claw is shed. *whispers* my mani/pedi looks AWFUL right now because someone *meaningful look at Mother* forgot to reorder my nail tips. They're winging their way to me now, whew! What a great post! We didn't know that's how you came to your furever home. Thank you for sharing something near and dear to your heart. I love that you were fostered and found your forever home... I was actually looking on the pet finders website yesterday. There are so many beautiful creatures that need homes... Hopefully one of these days our house will be in proper shape to give another furbaby a happy home. oooh yay! And we know some very lucky kitteh will be waiting for you when the time comes! Yesss! Wowee wow wow, we never knew that's how you found your furever home Allie... that's super special. 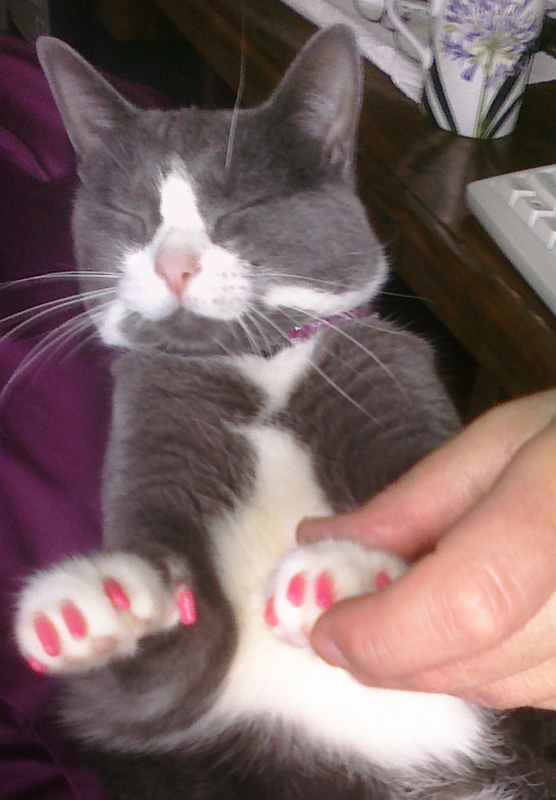 BTW, Little Miss Accessory Hound cannot stop staring at your gorgeous pink nail covers! Thank you for the back story, we're DEFINITELY setting our dvr... what an incredible concept. Before I joined Casa Jet, my human sister, Rachel, would foster a K9 for the holidays. A few times, it was the same guy, Moose, (who was like 8 lbs!!!). He eventually found his forever home. What a wonderful thing to do! ...to foster a lonely pet for the holidays. Hope lots of peeps consider it. Hey all! Come on by my blog today and check out what's waiting for you there. Hint... something you might see up in the sky at night. Allie: *squee! * BLING! I'm on my way!! Great post and nice idea to foster a pet for the holidays. Peeps may find themselves giving them a forever home. Have a super Sunday. Oh Allie, what a wonderful idea! I love your click to tweet feature - it makes it really easy to share awesome posts of yours like today's! Fanks you Sparkle! We instructed her to do it that way. Sometimes our humans actually get things right (MOL). WAFFLES: Um, did you no that Glogirly found ME on Petfinder.com?!?! I'm not sure what I think about the Boss...um, I mean Katie. But I REELY like Glogirly. Maxwell: Waffles, dood. That's, like, totally pawesome! FaRADaY: We agree wif gurlcatz. What is up with their 'tudes ANYwayz, we wanna know?!? They can be sooo annoying. But we agree wif the Glogirly thing - we're both mama's boyz and PROUD of it! oh and mommy sez SURE on the click to tweet thingy. She uses clicktotweet.com and then takes the link generated & connects it to an .ai she's saved as a PNG. She'll email you, she sez. I love this, and I hope many people will open their homes to an animal in a shelter or rescue for the holidays - either by adopting or fostering. Our current foster, Evelyn, will be with us, unless she is adopted before then! And, if she is, Mom already has a few cats in mind to spend the holidays with us. What a great idea! Maybe next year. We just got 3 new cats inside of a month and we think daddy might throw us out if we got any more. Purrrrrrrrrrrrrrs. HEE! Um, we kinda think you might be right about that. But Jamie is one lucky dudecat for sure! We think that's a really nice idea! Thanks for the reminder about A Dog Named Christmas....Mom missed it the first time around. We love happy endings! And how nice to know a little more about you, Allie! Is that movie available any other way that we could view on our computer? Mama Bernadette doesn't have a TV, but if it isn't available from another service we'll go to our library and check it out. Hope your candles are shining brightly! 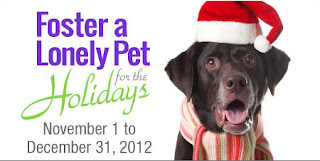 We think that fostering a lonely pet for the holidays is a wonderful program!!! Purrs and purrs for all the great furry friends! What a cool idea! We hope lots of peeps consider doing this. What a great thing to do! Cats and Dogs should enjoy the holiday season. Me is going to see if wes can watch the movie! OMC! What a great idea. I'm a Pentfinder.com cat myself but I want to be an only cat. We love this campaign and blogged about a couple weeks ago. Also did a giveaway for the book. Thanks for spreading the word! Aww, you guys got Rumblemum all choked up. What a lovely idea. Beautiful Allie, we love that this program is how you gotcha'd your forever home! It's such a wonderful campaign. Our shelter has not ever done this, so I am going to share your post with them. Maybe we can get something going for next year. Hugs!